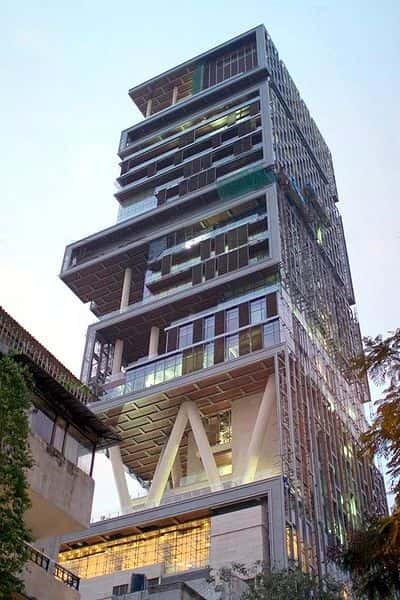 The worlds first Billion Dollar House is located in Mumbai and it is named 'Antilla.' It is twenty-seven stories high and it features a six story parking garage. 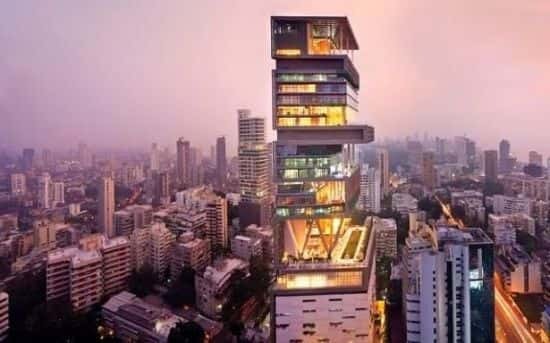 This home belongs to the Ambani family. 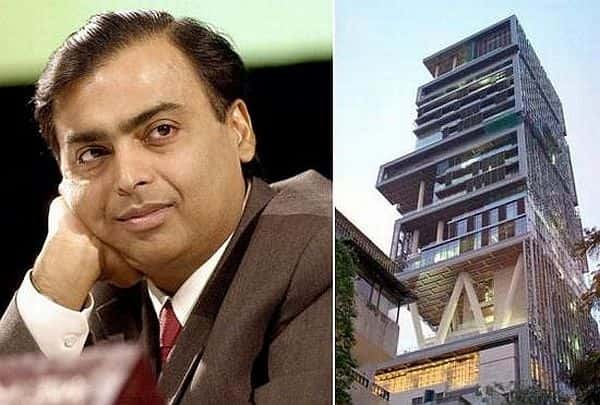 Mukesh Ambani is the head of Reliance Industries in Mumbai, India. At the time this house was built he was the ninth richest man in the world. Mukesh and his wife Nita have three children and this amazing home was designed as a custom home and also to entertain corporate guests. 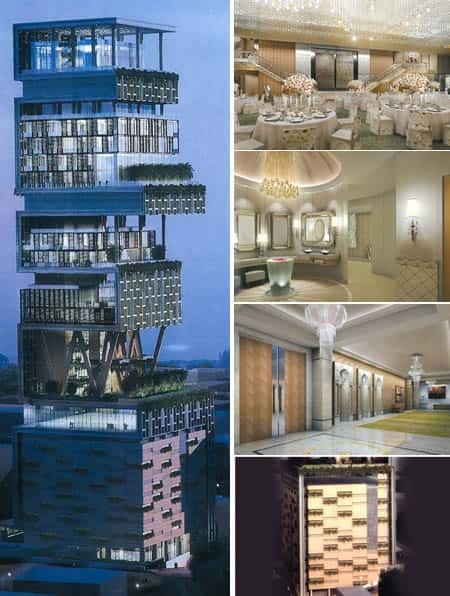 There are three helipads on the property and it is one of the tallest buildings in India. Even though this home is amazing and luxurious in every way, the family has not moved in. 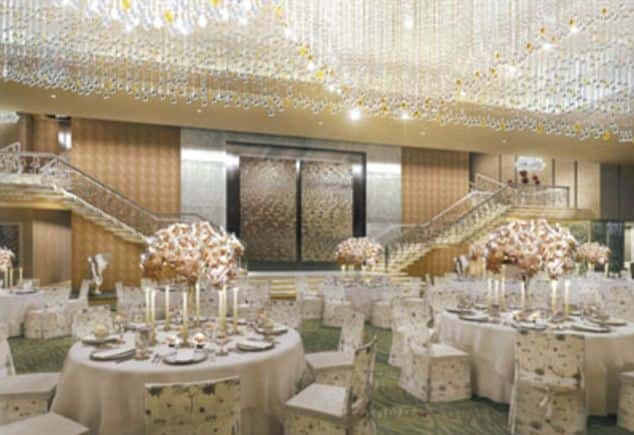 They fear that the house will bring them bad luck as it does not align with principles of Vastu Shastra. Vastu Shastra is a Hindu version of Feng Shui. 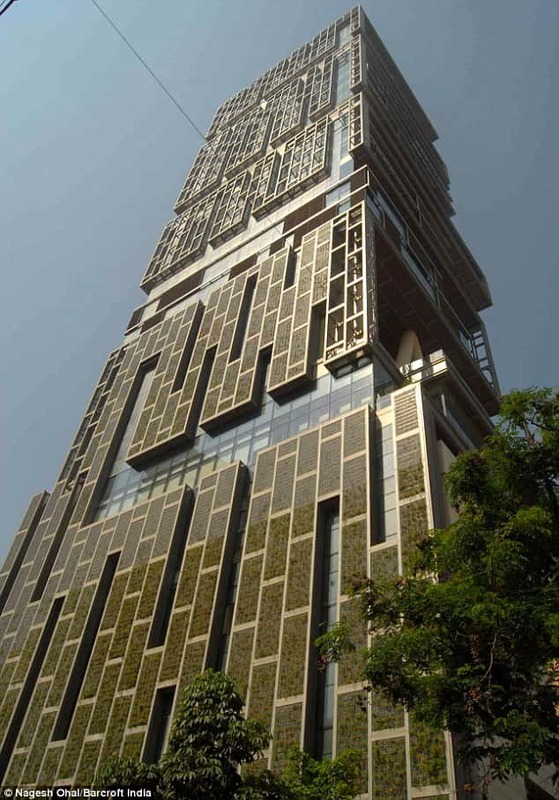 Each floor in this tower home is made from different materials in order to make it unique.